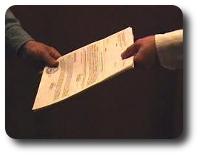 Experience and personal attention to our clients have made Chicagoland Investigative Services one of the most reputable and reliable process server agencies in the nation. We are committed to providing timely, quality process service that’s tailored to meet the individual needs of our clients. A trained professional staff ensures fast, thorough process service with integrity. We offer process service and subpoena service from coast to coast and are proud members of several process server networks around the country. Chicagoland Investigative Services are process service pros and nobody does it better! 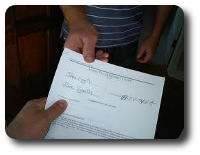 We provide prompt, accurate, timely service of process to attorneys, government agencies and businesses. We utilize a custom software tracking program that allows our clients to login and view the status of their papers 24/7: receive an email when your case has been logged in and when service has been completed, view and printout a copy of the signed and notarized affidavit of service. Chicagoland Investigative Services are experts in the area of” hard to serve” subjects. Using our proven and effective methods, we can serve your party effectively while maintaining compliance with all laws and regulations.